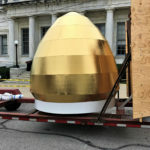 The Clark County Courthouse in Winchester, KY has finally reached completion. SSRG has been restoring and reinforcing it since September of 2017. 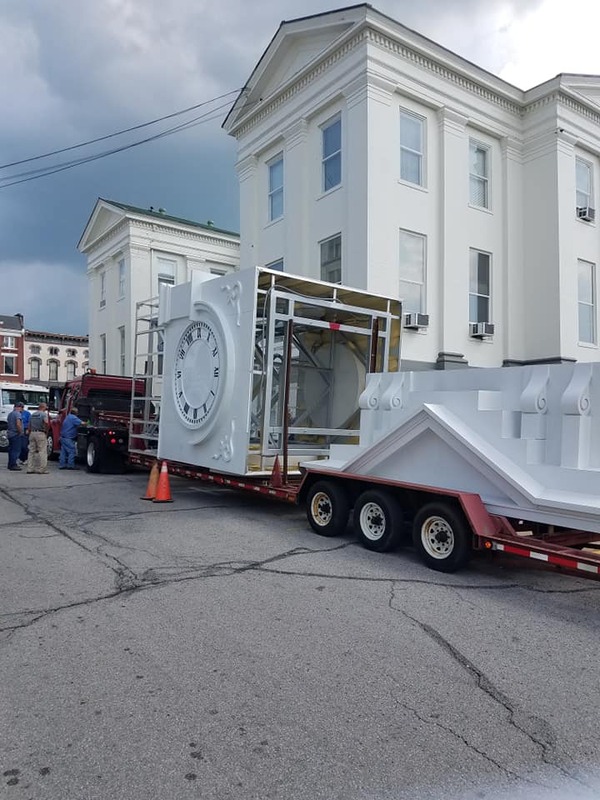 The cupola and section with four clock faces on the Courthouse were installed Wednesday afternoon, August 15—a day earlier than scheduled. SSRG had removed the tower in fall of 2017. 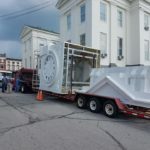 The structure was deteriorating due to rotted wood and structural issues that caused leaks in the courthouse when it rained. The Courthouse in Clark County, built in 1853, still houses the Circuit Courtroom and Family Courtroom for the Administrative Office of the Courts. The original bell tower was installed in 1889. Clark County today is a vibrant, growing community, which still prides itself in rich agricultural land, residential development as well as a business and industrial center. 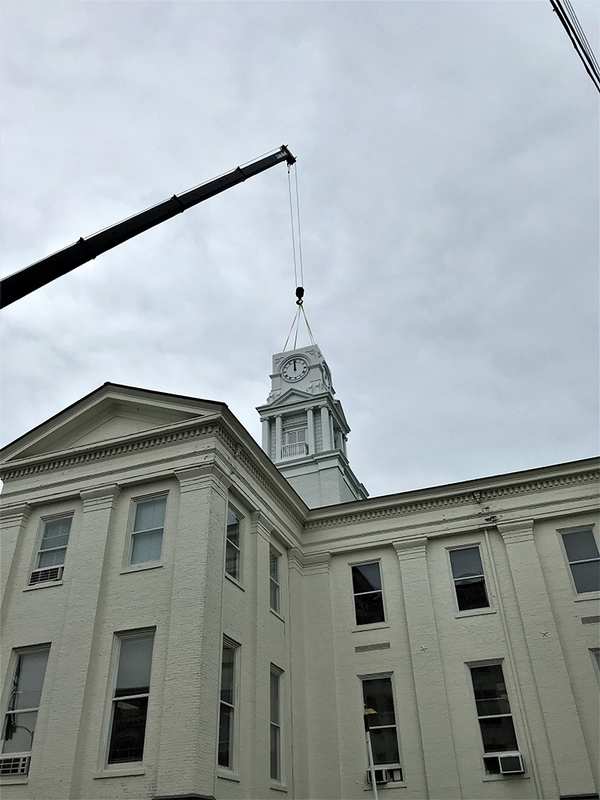 SSRG worked to carefully remove the existing historic bell and clock tower located atop the Courthouse. 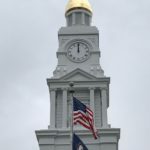 Work included removal of all four-clock faces to be preserved and then removing the tower timber and demolition of the existing tower, which weighed over 30,000 pounds and stood 165 feet in the air. New steel reinforcement structures and two new stair platforms were installed in the interior of the courthouse. Masonry walls, also in the interior, were repaired, tuck-pointed, removed, and then replaced. The exterior masonry was also tuck-pointed and then given a new coat of paint. SSRG then installed a new roof structure and cornice around the base of the tower. The tower itself was assembled off-site. 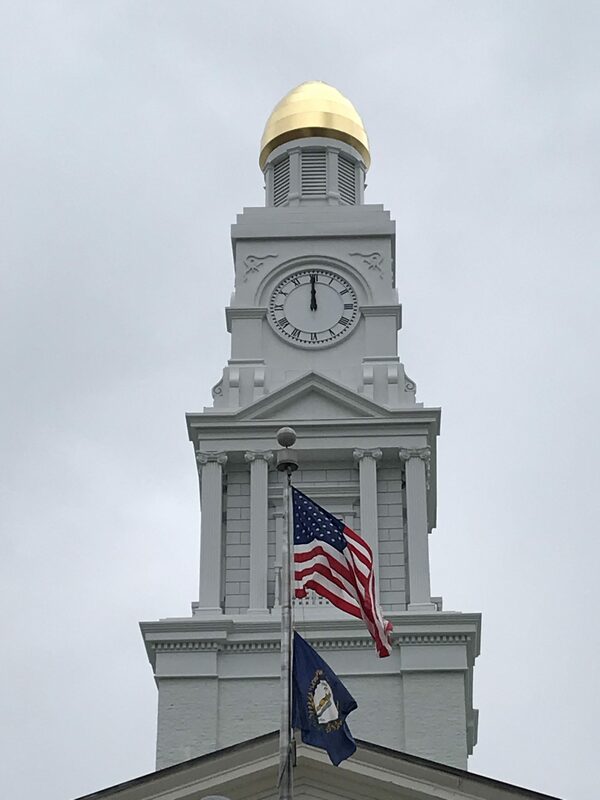 The new cupola is fabricated from a structural steel and aluminum angle inner framework, and clad in a heavy aluminum with a baked-on finish for years of maintenance-free service. 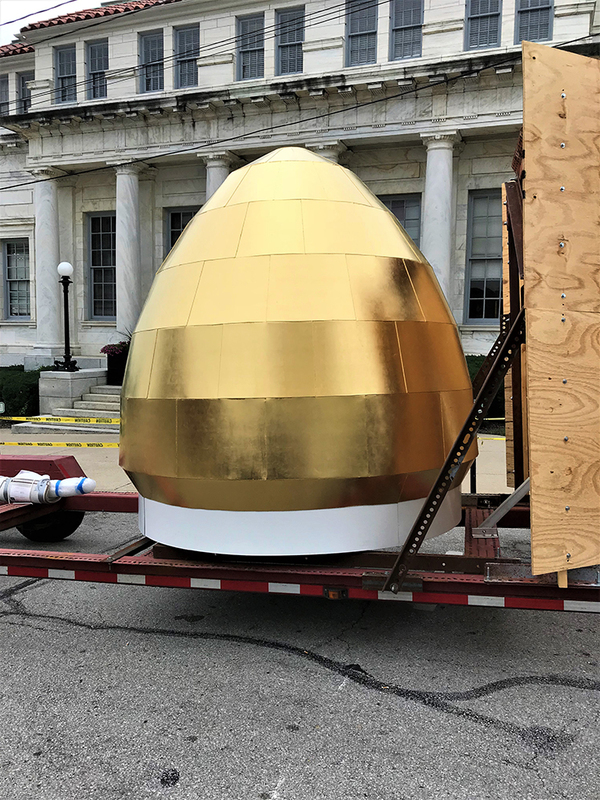 A local supporter of the clock tower project donated the gold leaving on the dome anonymously. “The Clark County Courthouse was a great project that I was excited to be a part of. I really enjoyed working with the City of Winchester and Tate Hill Jacobs Architects,” says William Littlejohn, Project Manager with SSRG. SSRG Superintendent, Dan Smyth, and his crew, Eddie Duncan, Dave Witterstaetter, and Brian Zembrodt led the project.